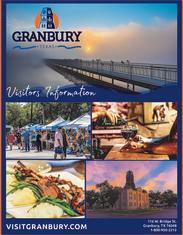 Granbury, Texas, a place where Texas history lives every day, celebrates its culture once a year in a truly magical way. For the Granbury Candlelight Tour of Homes, the community bands together in an assemblage of lights, carols, and Christmas treats. Moreover, a selected group of citizens open their private, historic homes to the public. Between volunteer docents and the owner's themselves, a story unfolds of each home's rich and unique story. This year, Texas historical sites such as the Hood County Courthouse, the Granbury Opera House and the Nutt House Historic Hotel will be included on the tour, as well as Granbury museums and historic churches. This year's event will be held December 6-7, 2019.